Early weaning calves has been a common practice this year to manage through the drought. 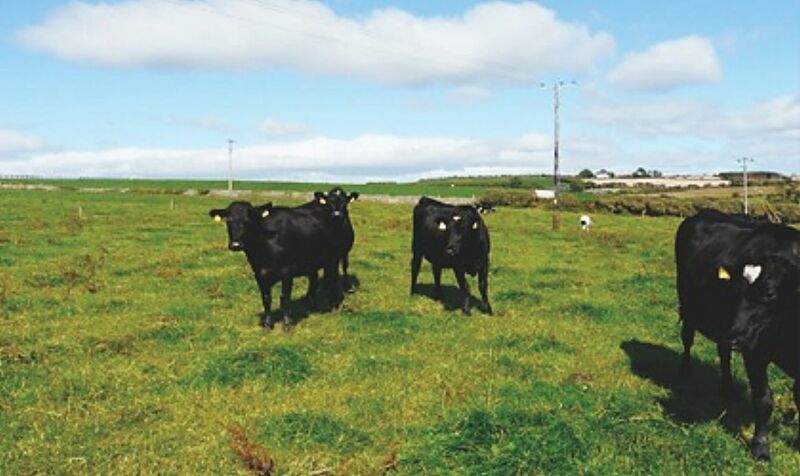 However, how does early weaning affect the heifers meant for replacements? Several research projects indicate that early weaning does not impact a heifer's opportunity to be retained as a replacement in the herd. Research conducted at the USDA Livestock and Range Research Laboratory in Miles City, MT weaned heifers at either 80 or 213 days of age to compare weaning and heifer development phases. The early weaned heifers were fed a 17.5 percent protein and 75 percent TDN diet after weaning while the normal weaned heifers remained on their dams for additional 133 days. At the time of normal weaning, the early weaned heifers on a mixed ration were heavier than the normal weaned counterparts that stayed on the cows (526 lbs. vs. 493 lbs.). 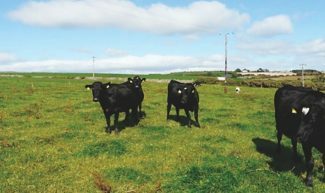 Indicating that heifers that are early weaned are able to overcome being younger and lighter at the time of weaning. For producers wanting to early wean onto pasture, it is critical to have high-quality pasture along with a supplement to compete with a mixed ration. Research at the Antelope Research Station in Northwestern South Dakota confirms heifers can be early weaned on pasture with a supplement and have similar gains as their mates that stay on the cow. When evaluating the heifer development phase, all heifers, early and normal weaned were fed a 12.5 percent protein and 63 percent TDN diet. Both the early and normal weaned heifers received either a 72 or 82 percent rumen degradable protein. Regardless of the type of protein provided, the early weaned heifers remained heavier throughout the treatment period. Looking at reproductive performance, earlier weaned heifers reached puberty at 39 days before artificial insemination. However, heat response, AI and overall pregnancy rates were not different between the early and normal weaned heifers. These results indicate that early weaned heifers can be reproductively sound females that can stay in the herd as replacements. A study conducted at the SDSU Antelope Range and Livestock Research Station in Northwestern South Dakota agree with the results found in Miles City, that early weaned heifers can be developed in an extensive system and become viable replacements females. When evaluating the reproductive performance between early and normal weaned heifers, puberty, synchronized conception and overall pregnancy rates were not different. Early weaning can improve the condition and reproduction of the dam and manage through drought conditions. Early weaned heifers have the similar or greater reproductive success than normal weaned heifers. So do not fear keeping early weaned heifers as replacements.